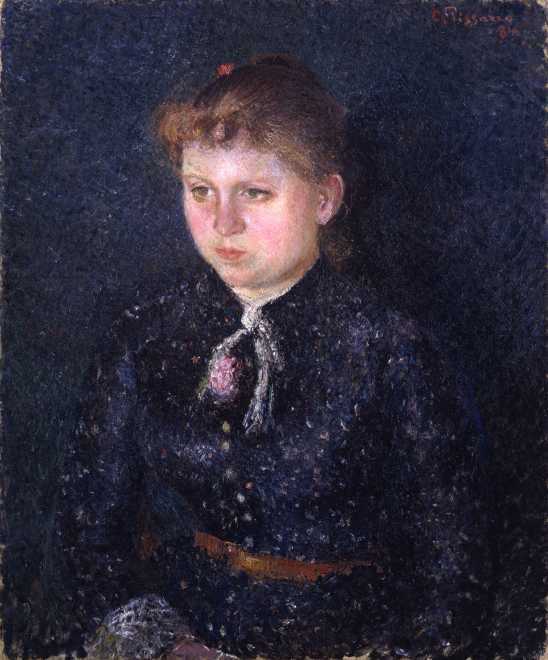 This portrait has, until 1998, been owned by the artist’s family. To our knowledge, the painting had, until the 1999 Fort Lauderdale Pissarro exhibition, never been included in any Pissarro or miscellaneous exhibition. Ludovic-Rodo Pissarro & Lionello Venturi, Camille Pissarro, Son Art – Son Oeuvre, Paris. 1939, Plate 134, No.654. Reproduced in colour in the revised Pissarro Catalogue Raisonne by Joachim Pissarro and Claire Durand-Ruel Snollaerts.